Cloud service and storage providers offer valuable IT solutions for businesses of all sizes. Originally thought of as more for personal use, cloud storage for business is following in the footsteps of many personal technologies adapted for business purposes. 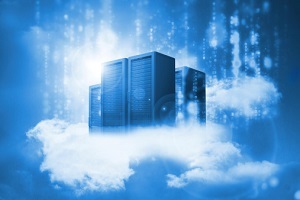 As Steve Knutson, Marco CTO, said, “From storage to software to security, cloud services are taking over almost every aspect of technology.” Many businesses can benefit from comprehensive cloud services – hosted applications, Infrastructure as a Service and more – and the transition often begins with data storage needs. Many people reap the benefits of the cloud for personal reasons, but most businesses have yet to take the leap. Whether your current on-premise data storage seems sufficient or you simply haven’t taken time to consider cloud storage, reviewing these advantages is a good place to start. The first benefit, and perhaps most important in the minds of many business owners, is the cost advantage. Cloud storage is generally more affordable because providers distribute the costs of their infrastructure and services across many businesses. Moving your business to the cloud eliminates the cost of hardware and maintenance. Removing these capital expenditures and the associated service salaries can translate into significant cost savings. Also, consider the increased productivity cloud storage allows. All you will need within your office is a computer and an internet connection. Much of your server hardware will no longer be necessary, which saves physical space and eliminates the need for maintenance and employee attention. Your cloud storage provider will maintain, manage and support your solution. This frees up employees who would otherwise cover the tasks necessary for keeping your data safe and your server(s) up and running. Instead of having hardware within your office, cloud storage is housed in a data center, providing enterprise-level security. There is also no single point of failure in the cloud because your data is backed up to multiple servers. This means that if one server crashes, your data stays safe because it is stored in other locations. The potential risk of hardware malfunction minimizes because your data is safely stored in redundant locations. The mobility benefits provided by the cloud are rapidly increasing for businesses of all sizes. In today’s world of connectivity, we are able to work (and play) whenever and wherever. While you're waiting for a flight at the airport or at home with a sick child, you can still work – and work efficiently. Before cloud storage came along, working outside the office was problematic and more time consuming than it needed to be. Remember having to save your files on your laptop and then returning to work and needing to transfer your updated files to ensure others have access to the latest version? I sure do. This example highlights another one of the advantages of cloud storage - enabling mobility. If you work from multiple devices – i.e. phone, tablet and desktop computer – you won’t have to worry about manually adding the latest file onto each device. Instead, the newest version of your document is stored in the cloud and will be easily accessible from any of your devices. With cloud storage, you pay for what you use, as you use it. You do not need to anticipate how much storage space you will need for the year and risk paying for unused space or running short. You can adjust the resources available through cloud storage providers and pay based on your current needs, modifying as they change. These descriptions simply highlight a few (of many) advantages of cloud storage. Continue your exploration of cloud storage and computing by downloading our Cloud Questionnaire.